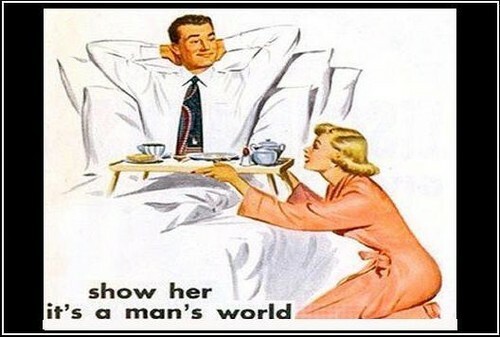 It's A Man's World. . Wallpaper and background images in the Feminism club tagged: cartoons sexist ads misogyny it's a man's world. This Feminism photo contains ڈاؤن لوڈ ہونے والے, مزاحیہ کتاب, منگا, کارٹون, ہالی ووڈ, and کامک بُک. There might also be پورٹریٹ, آرچر, closeup, تصویر, and ہیڈشوٹ.